Email list building is an important part of your inbound marketing effort. Even with all of the new marketing channels, the importance of building a quality list of interested subscribers is as strong as ever. 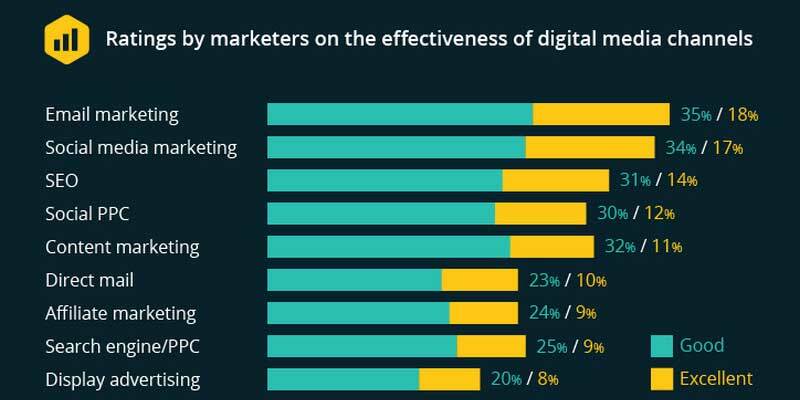 In fact, according to Smart Insights State of Email Marketing Infographic, over 50% of marketers rate email marketing more effective than other marketing channels. What are some effective email list building techniques? Now make the form easy to fill out. The important piece of data is the email address. If you’re trying to build an opt-in email list, you really only need the email address. If you want to personalize your emails, ask for their first name. But don’t ask for what you don’t need. Less is more in email list building tactics. You may have the best content in your blog, but most people won’t sign up for your email list unless you ask them to. Give people a reason to sign up. An eye-catching call to action that elicits an immediate response such as watch a video demo, download a useful tool or join our challenge. 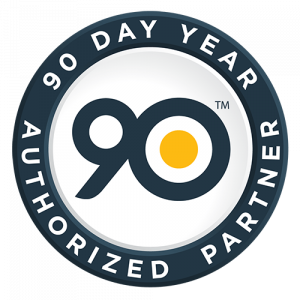 Couple that with a compelling lead magnet that provides something of value to a prospect in exchange for their contact information. 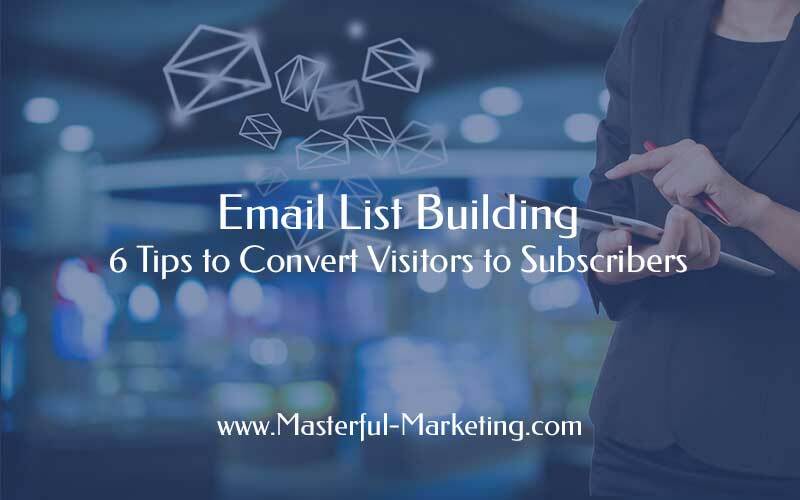 When these two work together, you will encourage visitors to opt-in to your email list and give you permission to send them more useful content. Content upgrades are highly targeted content offerings aligned with specific blog posts. These lead magnets work because they are not generic email lead magnets but are additional incentives for signing up for your list. Content upgrades take lead magnets a step further by offering timely, relevant content to what the reader is already researching. If this is something you want to implement, be sure to understand the technical details required to successfully deliver the content upgrades to your subscribers. If you are running a marketing campaign to drive visitors to your website with the specific goal to capture leads, you must use a landing page. A landing page should be aligned with your offer to reinforce your message and dramatically increase your conversion rate. Using a landing page keeps your visitor focused on what you want them to do. If they land on a regular webpage, there are too many distractions that can interrupt the process and cause the visitor to leave without converting. A landing page also provides more accurate data because they are only visible to those who click on the link from your campaign. If you land your lead generation campaign on a regular webpage, the analytics data is intermingled with regular website traffic. The bottom line with lead generation campaigns: keep it simple, don’t make people think, and guide your visitor through the action you want them to take. There are many ways to re-purpose your content into formats that can generate qualified leads. Turn your content into a course delivered through an email series. The content can be text, audio or video, whichever is easiest for you to create. Taking content you have already created and rearranging it into an educational series can build your email list quickly. Take this same content and turn it into a webinar. Record the webinar and then offer it as a lead magnet. Create a challenge. Turn your skill into guided experience that helps people get to a specific end result. Challenges can be anything you can guide people through in a short period of time such as “Create your own WordPress website in 7 days”, “Take the 30 day fitness challenge” or “Write your book in 8 weeks”. You get the idea. Break your expertise down into a step-by-step process that can be completed quickly. Challenges create a very targeted, high quality list of people who now know what you do. Add your sign up form to your landing tab on your Facebook Page to encourage new fans to sign up. Set your Facebook Page call-to-action button to sign up and send the visitors to a landing page. Add regular posts to your Facebook Page with your opt-in offer. Use an image of your offer in the post to get attention and encourage people to click on the post. Run Facebook ads to drive people to your landing page to sign up for your list. You can target people who have liked competitor’s Facebook Pages or other businesses that reach your target audience. 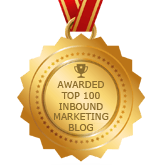 These people are more likely to want your lead magnet. Depending on your business and the reason for you to grow your email list, you can use organic tactics or increase your list quickly through Facebook advertising. Email list building is an activity that small businesses should be doing regularly. It is the critical first step in your inbound marketing strategy. Be sure to not just drive traffic to your website, but to get people to sign up. Don’t waste time gaining traffic with no visible results. Having an email list built on people who are interested in what you have to offer and have given you permission to send them information is a valuable asset for your business, but your work is still not done. Now that you have started to build your email list, you need a plan to provide valuable information to them and keep your business top of mind. What other creative ideas do you have to build a quality email list for your business? The “Email marketing” or “Newsletter” options still work the best as compared with all traffic sources. The social media sites and the subscriber’s list are two most effective factors to build targetted organic traffic. Whenever I broadcast a newsletter, I can notice a sudden growth in blog traffic. Most of the bloggers think that the “email list” is just used as a marketing tool. But email list subscribers are certainly the reliable way to increase your traffic. Even if the subject of the newsletter you send is not concerned related to them, you still have visitors clicking through the links. In addition to that, you also get a consistent crowd that continues visiting your site and so at the down times such email list helps for maintaining traffic stats. Email newsletters can work for you for various types of businesses you have that never discern it; still, I don’t suppose it would work for every niche. Besides, if the blog is essentially under blogging, and the contents are designed with frequently updated content. I personally think a newsletter we usually publish out just performs as a reminder for all your followers to visit your website. These helpful suggestions help me to build the relationship with the subscriber’s list. Check out this post on email marketing vs. marketing automation. But to quickly answer your question, the lists you build can be used for both. Automation is applied to your lists based on tagging and other ways to segment your list.